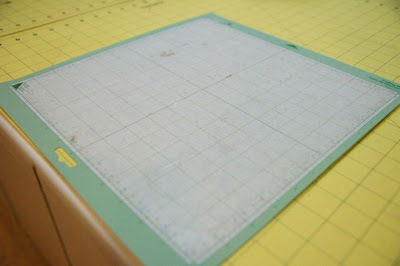 Do you feel like your cricut mats loose their "stick" rather quickly? 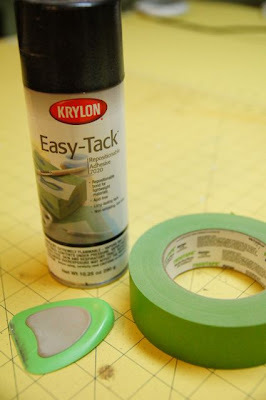 Here is a quick and inexpensive way to "re-stick" them! You will need a repositionable spray adhesive, I used Krylon. DO NOT use permanent! Tape, my favorite is FROG tape, and a scraper. 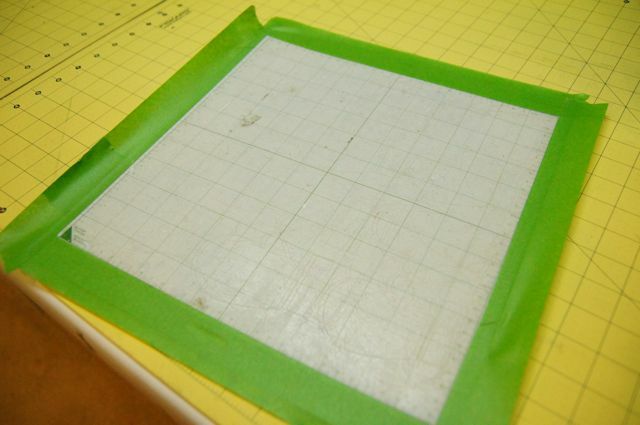 First scrape any excess paper or residue from your mat to clean it. Then using the green edge of the mat as a guide, tape off all 4 edges. You don't want the edges to be sticky, it will not go through the machine properly. Then simply spray your mat! Hold the can approx 12 inches away from the mat, you don't want it to go on to thick. Spray 2-3 light coats. Remove the tape and it is ready to use. This can be done over and over again! Saving you lots of money! Will it gum up the machine? This sure will save money.